Relevant in relation to the US-led ongoing wars, this article was originally published on June 29, 2015. The most expensive social science program in history–the US Army’s Human Terrain System (HTS)–has quietly come to an end (2015). During its eight years of existence, the controversial program cost tax payers more than $725 million. The Pentagon distributed much of the funding to two large defense firms that became the HTS’s principal contractors: BAE Systems and CGI Federal. When HTS was first announced in late 2006, I followed its development with concern. Along with many other anthropologists, I opposed the program because of the potential harm it might bring to Iraqi and Afghan civilians–and to future generations of social scientists who might be accused of being spies when conducting research abroad. Apart from anthropologists, HTS had other critics. A small but vocal group of military officers publicly criticized the program, noting that it was “undermining sustainable military cultural competence” (Connable 2009) and that in practice, “the effectiveness of the HTTs [human terrain teams] was dubious at best” (Gentile 2013). Yet despite these criticisms, the program grew exponentially. At its peak in 2010, HTS employed more than 500 people ranging from career academics with PhDs to retired Special Forces personnel. Over the next few years, more than 30 “human terrain teams” (HTTs) were deployed in Iraq and Afghanistan, and the program’s annual budget exploded to more than $150 million. Then in 2014, an odd thing happened. News reports and official statements about HTS virtually disappeared. Its slick website was no longer updated. HTS’s boosters fell silent. And when I tried phoning its headquarters at Fort Leavenworth, Kansas earlier this year, no one answered the phone. I became curious about the fate of HTS. I heard conflicting accounts from military social scientists, former employees, and journalists who had written about it in the past. A few claimed that the program had ended–as did Wikipedia’s entry on the Human Terrain System. However, none of these sources included concrete evidence confirming its termination. In an effort to verify the program’s official status, I contacted the US Army Training and Doctrine Command (TRADOC), which was HTS’s home since its inception. I had resisted contacting TRADOC because in the past, my inquiries had gone unanswered. But earlier this month, I decided to try once more. To my surprise, I received a response from Major Harold Huff of TRADOC’s Public Affairs Office. In a two-line email message sent to me last week, Huff confirmed that HTS had indeed ended on September 30, 2014. In order to get a better understanding of HTS’s hasty demise, let us review its history. HTS was launched in June 2006 as a program designed to embed five-person teams with Army combat brigades. According to the original HTS blueprint, each team would combine military personnel with academically trained cultural specialists–preferably social scientists with graduate degrees. Early in 2007, the first HTT was deployed to Khost, Afghanistan where it was attached to the 82nd Airborne Division’s 4th Brigade. By the end of the year, four more teams were deployed across the country. The program’s principal architect was cultural anthropologist Montgomery McFate. For the first four years of the program, she and retired Army Colonel Steve Fondacaro (who was hired as HTS’s manager) tirelessly promoted the program. Their PR blitz included front-page stories in the New York Times and San Francisco Chronicle Magazine and dozens of articles in magazines and newspapers. The corporate media generally described HTS in glowing terms, and occasionally journalists portrayed McFate as a bohemian bad girl. One infatuated reporter described her as a “punk rock wild child. . .with a penchant for big hats and American Spirit cigarettes and a nose that still bears the tiny dent of a piercing 25 years closed” (Stannard 2007). McFate was the perfect shill. Many brigade commanders fell into line once the Petraeus Doctrine was established as the Army’s preferred method for fighting insurgents. Criticizing counterinsurgency–or HTS for that matter–was a bad move for officers seeking to advance their careers. Congressmen and women generally liked the new approach because it appeared to be succeeding (at least in Iraq) and because many viewed it as less lethal. And HTS fit perfectly with the narrative that Petraeus had crafted with the help of compliant reporters: counterinsurgency is the thinking man’s warfare. However, HTS encountered a series of obstacles. As mentioned above, the program met organized resistance from academic anthropologists. 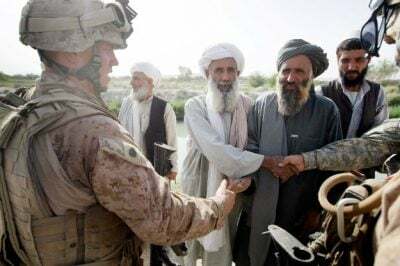 Less than a year after the first HTT was deployed to Afghanistan, the American Anthropological Association issued a sharply worded statement in which it expressed disapproval of the program. An ad hoc group, the Network of Concerned Anthropologists, succeeded in gathering the signatures of more than 1,000 anthropologists who pledged to avoid counterinsurgency work. HTS was also beset by tragedy. Between May 2008 and January 2009, three employees of the program–Michael Bhatia, Nicole Suveges, and Paula Loyd–were killed in action. 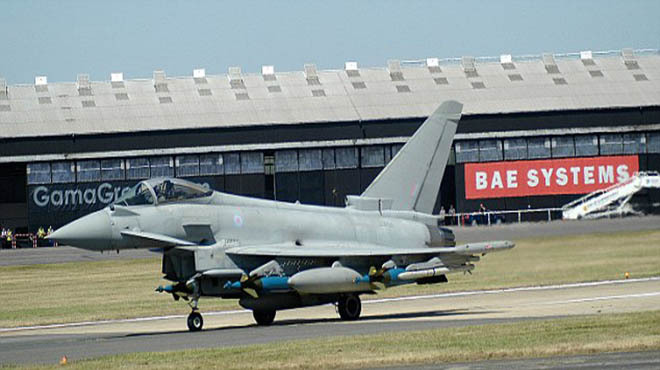 Some suggested that in its rush to supply the Army with social scientists, BAE Systems (which had been granted large contracts to manage HTS) was not providing personnel with sufficient training. As early as 2009, reports of racism, sexual harassment, and payroll padding began to emerge, and an Army investigation found that HTS was plagued by severe problems (Vander Brook 2013). To make matters worse, the investigators found that many brigade commanders considered HTTs to be ineffective. In the wake of these revelations, Fondacaro and McFate resigned from the program. Army Colonel Sharon Hamilton replaced Fondacaro as program manager, while anthropologist Christopher King took over as chief social scientist. But by this point, HTS was making a transition from “proof-of-concept” to a permanent “program of record”–a major milestone towards full institutionalization. As a Pentagon correspondent told me, once such programs become permanent, “these things never really die.” This makes HTS’s recent expiration all the more perplexing. Given its spectacular growth and the Army’s once insatiable demand for embedded social scientists, one might ask: Why did HTS fall into a downward spiral? With Iraq behind it and the end of its role in Afghanistan scheduled for 2014, the operative term used by US Army Human Terrain System managers these days is “Phase Zero.” The term refers to sending small teams of Army human terrain experts to gather information about local populations–their customs and sensitivities–perhaps in peacetime and certainly before areas boil over into a conflict that might require a larger number of US forces. Human Terrain System advocates see Phase Zero as a way for the program to survive in a more austere military (Hodges 2012). the more I interacted with his staff, the more persuasive their points seemed. . .in retrospect, I was insufficiently critical [of counterinsurgency doctrine]. . .Another irony that Petraeus’s downfall reveals is that some of us who egotistically thought our coverage of Petraeus and counterinsurgency was so sophisticated were perpetuating myths without fully realizing it. “I wanted to believe in the Human Terrain System’s capacity to make the US military smarter, but the more time I spent with the team, the more confused I became” (Gezari 2013: 169). “The Human Terrain System lied to the public and to its own employees and contract staff about the nature of its work in Afghanistan. . .[it] would prove less controversial for what it did than for its sheer incompetence” (Ibid. : 192). “It’s shocking that this program, with its controversy and highly questionable need, could be extended. It should be ended,” he said in early 2014. The pressure was mounting. Another problem facing HTS was the broad shift in Pentagon priorities, away from cultural intelligence and towards geospatial intelligence. As noted by geographer Oliver Belcher (2013: 189), the latter “marks a real move towards conducting human terrain intelligence at a distance within strategic centers of calculation in Washington, DC and Virginia.” Counterinsurgency was a passing fad. “The US military has a strong cultural aversion to irregular warfare and to devoting resources to sociocultural knowledge,” according to researchers at National Defense University (Lamb et al. 2013: 28). This, combined with HTS’s record of incompetence, undoubtedly emboldened those opposing the idea of incorporating social science perspectives in the military. Postscript: Life After Death for HTS? Although HTS has officially ended, questions still remain about its future. The National Defense Authorization Act (NDAA) for fiscal year 2015 allows the Army to carry out a “Pilot Program for the Human Terrain System. . .to support phase 0 shaping operations and the theater security cooperation plans of the Commander of the United States Pacific Command. . .this section shall terminate on September 30, 2016” (US Congress 2014: Section 1075). Furthermore, a March 16, 2015 letter from Army General Ray Odierno to US Representative Nita Lowey includes HTS on a list of unfunded requirements for fiscal year 2016. Odierno’s letter describes HTS as an unfunded program to be used by the Pacific Command as suggested in the NDAA. Yet no job advertisements have been posted to recruit employees for the program. Only time will tell if HTS will rise Phoenix-like from the ashes, or if it has truly disintegrated. Some argue that HTS was a good idea that was badly mismanaged. It would be more accurate to say that HTS was a bad idea that was badly mismanaged. Cultural knowledge is not a service that can be easily provided by contractors and consultants, or taught to soldiers using a training manual. HTS was built upon a flawed premise, and its abysmal record was the inevitable result. The fact that the program continued as long as it did reveals the Army’s superficial attitude towards culture. A great deal can be learned by examining the wreckage left behind in the wake of HTS. From one perspective, the program can be interpreted as an example of the ineptitude, incompetence, and hubris that characterized many aspects of the US-led invasions and occupations of Iraq and Afghanistan. As historian Niall Ferguson has observed, the US is an empire in denial. Perhaps it is not surprising, then, that wars of imperial conquest would be couched in terms of “cultural awareness” and securing “human terrain.” From another perspective, HTS represents the perverse excesses of a military-industrial complex run amok, a system that caters to the needs of the defense industry and celebrity generals rather than the needs of Iraqis or Afghans. We would be far better off if more government-funded social science was used to build bridges of respect and mutual understanding with other societies, rather than as a weapon to be used against them. Roberto J. González is professor of anthropology at San José State University. He has authored several books including Zapotec Science, American Counterinsurgency and Militarizing Culture. He can be contacted at [email protected]. Ackerman, Spencer. 2012. How I Was Drawn into the Cult of David Petraeus. Wired.com, November 11. Belcher, Oliver. 2013. The Afterlives of Counterinsurgency: Postcolonialism, Military Social Science, and Afghanistan, 2006-2012. Unpublished PhD dissertation, University of British Columbia. Connable, Ben. 2009. All Our Eggs in a Broken Basket: How the Human Terrain System Is Undermining Sustainable Military Cultural Competence. Military Review (March-April 2009), 57-64. Gentile, Gian. 2013. Counterinsurgency: The Graduate Level of War or Pure Hokum? e-International Relations, August 3. Gezari, Vanessa. 2013. The Tender Soldier. New York: Simon & Schuster. Hodges, Jim. 2012. US Army’s Human Terrain Experts May Help Defuse Future Conflicts. Defense News, March 22. Lamb, Christopher et al. 2013. The Way Ahead for Human Terrain Teams. 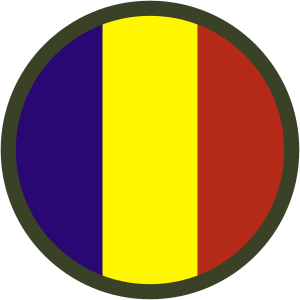 Joint Forces Quarterly 70(3), 21-29. Moyer, Justin Wm. 2015. General David Petraeus: From Hero to Zero. Washington Post, April 24. Stannard, Matthew. 2007. Montgomery McFate’s Mission. San Francisco Chronicle Magazine, April 29. US Congress. 2014. National Defense Authorization Act for Fiscal Year 2015. Vander Brook, Tom. 2013. Army Plows Ahead with Troubled War-Zone Program. USA Today, February 28. Vlahos, Kelley. 2012. Petraeus’s COIN Gets Flipped. The American Conservative, November 19. Weinberger, Sharon. 2011. Pentagon Cultural Analyst Helped with Interrogations. Nature, October 18.